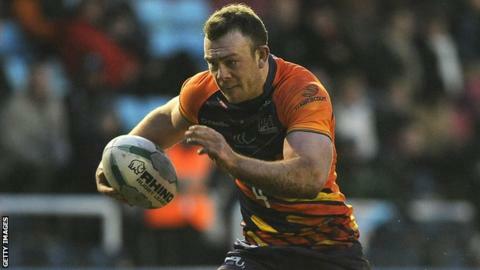 Centre Stefan Marsh has signed a new two-year contract with Widnes Vikings. Marsh joined the club on loan from Wigan in 2010 and spent the 2012 season with the Vikings before signing permanently ahead of the 2013 campaign. The 23-year-old has played 40 times for Widnes, scoring 23 tries. "He's a great person to have in the group, works hard, has loads of ability and we think he's got it in him to get better and better for this club," coach Denis Betts told the club website.